What is the Safety Area? 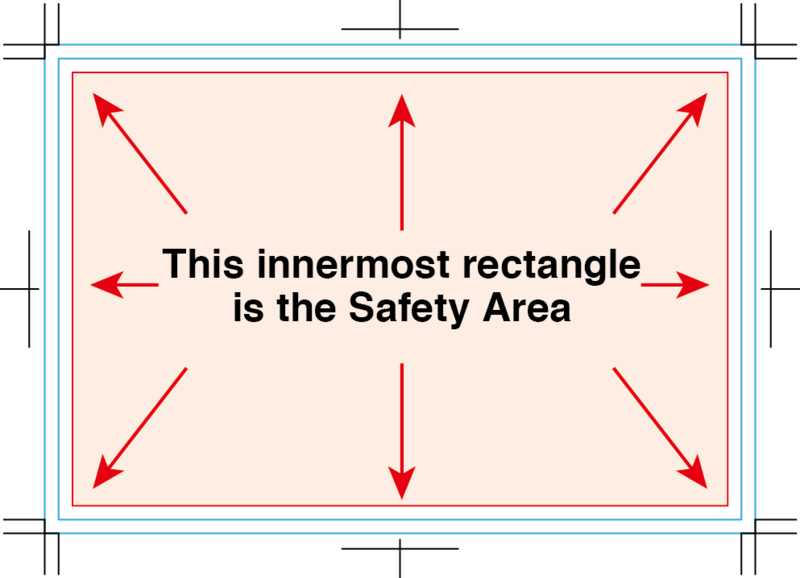 | Why is the Safety Area important? The Safety is an area 3mm inside of the trim line on all sides. Because the trimming may vary ever so slightly (up to +/- 2mm is within the acceptable margin of error),it's a good idea to keep all of your valuable text, logo and information within the Safety Area. For your safety, we strongly recommend a minimum distance of 3mm (on all sides) between your content and the trimming area. Nothing less! Why is the Safety Area important? 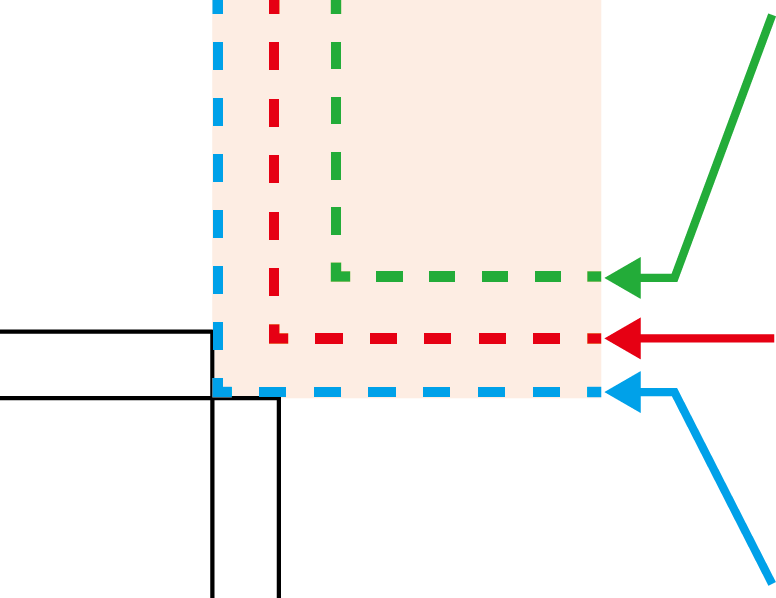 When you open one of our layout templates, you will see 3 guide rectangles in addition to the trim marks. If you set your design up without minding the Safety Area guides in the template, there is a good chance your content or logos will be very near or beyond the Trim Area. If this happens, they may be trimmed off from the final piece. Portions of the text on the left, right and bottom sides were trimmed off from the final piece. You may have to resize text or move it into a better position, but when your design has all the content, logos and other information properly setup within the Safety area, the final result is what you would expect. Happy printing!